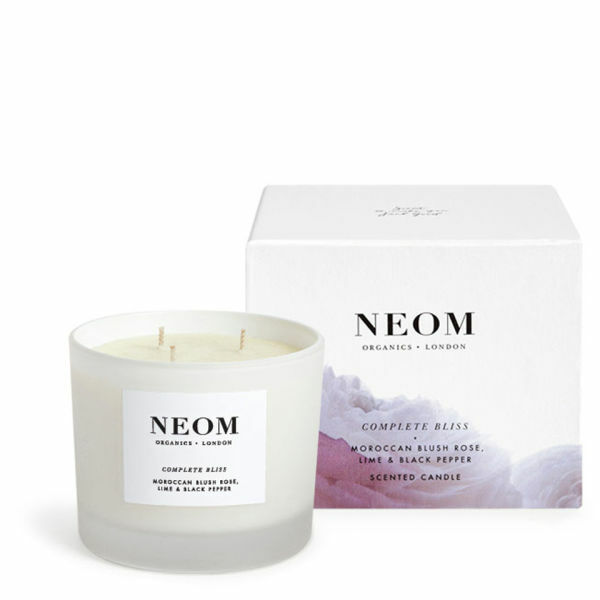 The NEOM Organics Complete Bliss Luxury Scented Candle will fill your room with a stimulating and uplifting fragrance of Moroccan blush rose, lime and black pepper, which stimulates your senses and helps to relieve headaches and hayfever. Made of pure vegetable wax and natural oils, the 420g candle has three wicks, and is designed to burn for up to 50 hours. Free from toxins, this beautiful candle will burn cleanly and evenly all the way to the bottom, whilst the invigorating fragrance will boost your mood. - L.M.